January 16, 2019Categories: News. Tags: business, data center, digital, infrastructure, and management. Nothing dies in enterprise IT, but the older technologies and approaches consistently make room for emerging IT trends. In 2019, prepare to support serverless computing and SaaS-based workloads right alongside the data center. These technologies will systematically reshape the way organizations deploy and operate IT workloads. 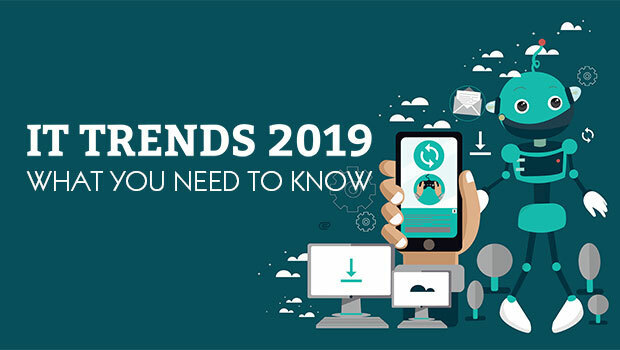 Trends such as global and diverse digital infrastructure, creative IT teams and more present opportunities and challenges for the business and IT staff. These 10 emerging IT trends, outlined by Gartner senior director analyst Ross Winser during the firm’s IT Infrastructure, Operations & Cloud Strategies Conference 2018, are poised to change infrastructure and operations in 2019. Although not every business will jump into every trend, review them all to plan ahead for deployments, and for your career. A local data center is stable and controllable — IT manages the systems, resources and infrastructure’s capabilities. The notion of digital diversity threatens that long-established realm. IT staff must increasingly handle multiple outsourcing and SaaS vendors, cloud environments and platforms, and understand the nuances of language and regulations that come with operation across global regions. This proliferation of choices can benefit the business, but IT must focus on ways to tame its complexity. For example, use inventory management to know what resources are engaged, where those resources are located and how they are behaving. Poor visibility and management open the door to sprawl, which adds risk and costs. Make fast and accurate analytical decisions about resource use. Expect to adopt some level of automation and AI-enabled tools to manage diverse and distributed infrastructures. Industry pundits have long heralded the death of the data center, with some truth. Gartner research suggests that 80% of businesses will shutter traditional data centers by 2025, and many startups forego the implementation of local physical data centers altogether. Owned, dedicated data centers face more workload deployment alternatives than ever before. Colocation, distributed resources in branch offices, public cloud and edge computing now compete to host enterprise workloads. The data center is no longer the go-to deployment platform, but rather just one of many options. For workload placement, evaluate the most efficient, cost-effective and appropriate platform. Consider factors such as security and compliance, as well as cost. As more workloads move to outside infrastructures, traditional data centers will shrink, but also evolve to be more versatile. As organizations seek to shed local infrastructure and automate the use of hosted resources, serverless computing is an emerging IT trend that’s gained traction over 2018. Serverless computing technologies are available from cloud providers, and include AWS Lambda, Microsoft Azure Functions and Google Cloud Functions. The user loads and executes application code, while the cloud provider manages the underlying infrastructure such as servers, storage and networking. Organizations are focused on code and application development to drive business. Serverless computing offers more flexibility, automation and choices for scalable application architecture and deployment than traditional in-house infrastructure management and even IaaS. It also is priced at a granular level, per call, to suit organizations focused on Opex rather than Capex spending. Serverless computing supports small, short-lived workloads. It represents an important alternative hosting option for specific workload types, rather than a replacement for VMs and containers. As business and IT leaders adopt digital diversity into the IT strategy, with a mix of cloud and on-premises infrastructure and everything in between, the idea of remote or distributed infrastructures has evolved to edge computing. Edge data centers gather, store and process data where it is located. Edge computing meets the needs of workloads with significant data and low network latency demands. IoT deployments utilize edge computing for the huge volumes of data they generate. Rather than send that data, often in real time, across a network to be processed in a centralized data center, edge computing implements processing work local to the data, as well as decision-making based on it, such as tuning an AI model. Only the result of the edge processing must travel over a network, so the model eliminates latency and disruptions in WAN connectivity. Be aware that the move to edge computing requires significant expertise and investment in monitoring and management for highly distributed infrastructures. SaaS enables a business to shed the ownership, infrastructure and maintenance of some enterprise workloads, paying an outside hosting provider to get the product delivered as a service. 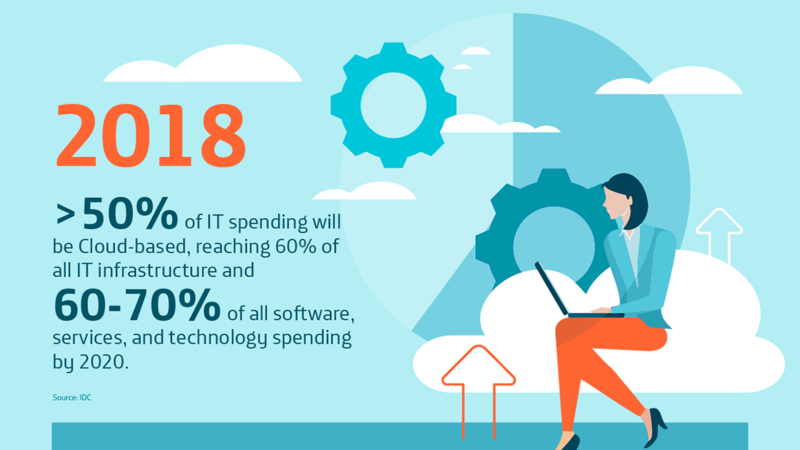 While it is more established than other emerging IT trends on this list, SaaS often adds complexity and risk to IT management. These issues will only intensify as more businesses turn to a larger stable of hosted workloads. For example, to meet compliance and governance requirements, an enterprise IT organization might need visibility into how a SaaS provider operates the workload, and what’s going on in their infrastructure. Data security and threat protection are paramount as hacking and data breaches rise. IT organizations must prepare for the integration work required to make SaaS applications connect with other workloads as well. Enterprises value agility and scalability in IT, but conventional network setups struggle to meet these needs. Local networks can limit the growth of IoT deployments and use of remote computing alternatives, such as edge and cloud computing. Organizations are underequipped to adequately provision, secure and monitor the local network. For example, improper LAN configurations can saturate the network or cause wild swings in traffic levels, called tromboning. Network administrators risk burn out, as they try to troubleshoot and respond to needs on this kind of setup with network configuration management. Address these challenges with a network automation strategy. Evaluate frameworks that handle network analytics and automate some of the device discovery, provisioning and management of the enterprise LAN. Machine learning and AI are beginning to change the data center and IT operations. AIOps includes a range of AI-enabled IT operations tools and products. AIOps technologies digest enormous amounts of data collected from sources, including log files, system agents and even user actions. Mathematical algorithms process the data according to a model. When the model is constructed and tuned correctly, the AI-based tool can make predictions that are faster, more consistent and more accurate than human reckoning. Consider AI’s potential for distributed systems management, where systems in distant, easily overlooked locations, such as branch offices and edge computing sites, must be configured and maintained. AI can also enhance systems maintenance with event correlation and root cause diagnostics, as well as predictive and prescriptive analytics of data center operations. AIOps potentially reduces IT costs, improves user experience and drives new revenue. The reality of digital diversity means that infrastructure and operations occur on many platforms and locations around the world. Global coverage is hardly a guarantee of business success. Organizations must often forge business partnerships beyond simply signing on suppliers. Partnerships pose risks, and the more partnerships created, the greater the risk grows. A partner could fail, or make disruptive changes. Weak partners, and ones that lack innovation, create a competitive disadvantage. Take a close look at global partnerships and reevaluate each provider’s capabilities and limitations. Study partner roadmaps and see how they align with the business. Decide which partner suits which tasks — and raise the bar to expect more from them. As emerging IT trends reshape infrastructure, some IT roles fall into disuse. The emergence of technologies such as automation, cloud, big data and machine learning have all spawned new IT roles. Technological changes are accelerating, which provides opportunities for some new IT practices in the organization. IT professionals should develop talents in aggregation, which is how to combine or pool diverse resources. Also focus on customization to tailor various offerings to the specific needs of the organization or workload; integration to make diverse systems, platforms and frameworks interoperate; and governance. IT departments need creative individuals. Instead of hiring people to configure and provision, tomorrow’s organizations will hire people to come up with a path to a desired outcome. Technology might run the business, but talent runs the technology. It will become increasingly difficult to find and retain qualified IT staff in 2019. Where a traditional IT role like system administrator was well-defined and relatively straightforward to train, it is difficult to even understand the requirements and responsibilities of each emerging, morphing role in forward-looking IT.